The fitness industry is seemingly meat-heavy. The paleo (or caveman) diet is huge - with meaty protein sources much lauded as go-to foods for a fit and lean body. The path which you choose to exercise is up to you - the main focus? Whole foods. Going veggie with the objective of a lean form isn’t just about cutting meat from your diet, it’s also about ditching refined and processed foods. Gorgeous to look at, gorgeous to eat. Kickstart your day with this simple chia pudding from Green Kitchen Stories. Chia seeds are magical little things, soaking up milk to create a creamy dish packed full of protein. The prep is all done the night before - meaning you can open the fridge, add your toppings and devour within minutes the following morning. It’s an easy life, isn’t it? Queen of the lean body? It’s got to be Kayla Itsines . She’s been championing her infamous bikini body guides on social media for the last few years, gathering millions of online fans. Follow her lead with this tasty lunch dish. Salads don’t have to be boring - a whole host of fresh ingredients make this recipe burst with flavour. And with plenty of chickpeas, you’ll have one satisfied tummy. 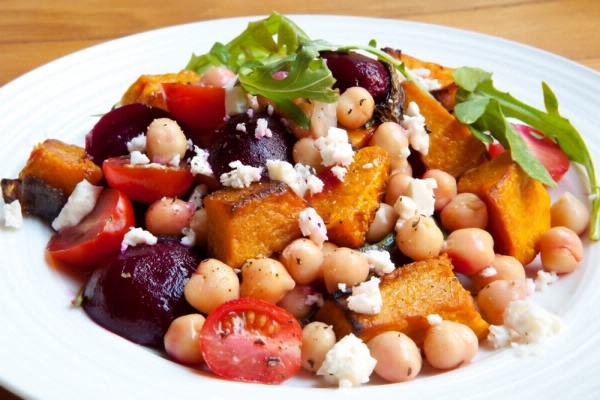 Vegans, rejoice - this dish is from the plant-based online diary of Ella Woodward. 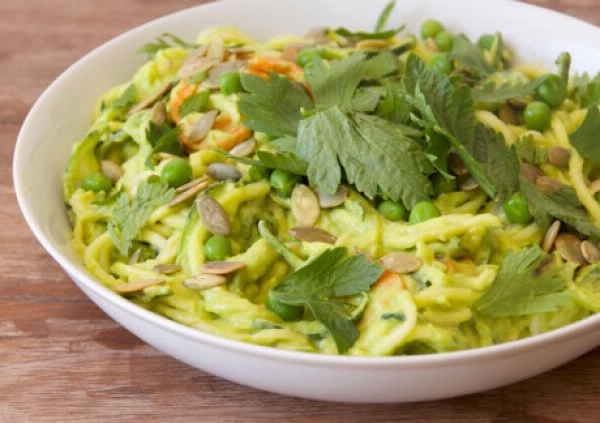 Get an injection of green veggies with this recipe, using kale, zucchini, peas and avocado. Stuffed full of nutrients and protein (we’re looking at you, pumpkin seeds), this is the kind of dinner that will fill you up while working wonders on your body. Oh, and it only makes ten minutes to make. Perfect. This protein pick-me-up from The Tasty Bite Bloc is perfect if you’re feeling peckish. 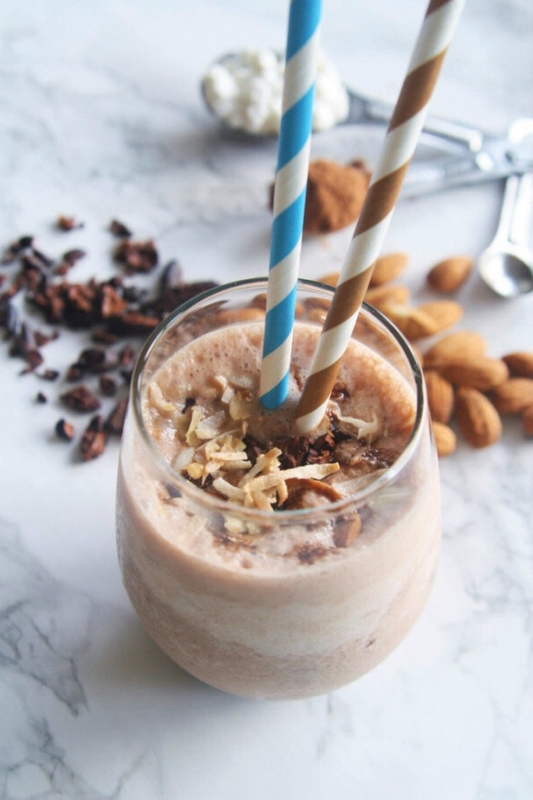 With cottage cheese and almonds working their magic to keep you nice and full, this smoothie will keep you going on a long afternoon. And it’s super creamy; with coconut, banana and cocoa finishing it off in sweet style. It may not look it, but we promise it’s healthy.